PES2011 On 360 Reduced To ONLY £21.86! 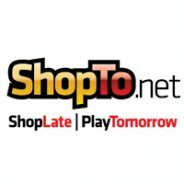 Shopto have always been a favourite of mine when it comes to buying PES. And they've just gone even higher in my ranks. They've price-dropped PES 2011 so now, you can pick up PES for your 360 for under £22. This is one of the best bargains I've ever seen, considering the increasingly-impressive game hasn't even been out for a month yet! Shopto Link - Order now for a quick delivery with free P&P. So spread the word, and tell your friends now. I'm sure even a few FIFA fans would fork out the cash. ...And apologies to PS3 users - I guess Shopto will wait a little longer until they drop the price there.